Now, the entire 23-km stretch would be available for the ride so more commuters are expected to board the Metro train. 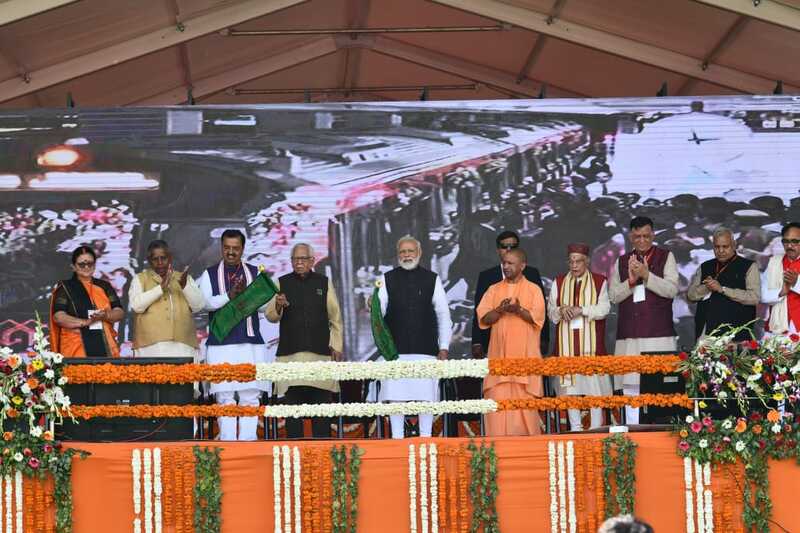 Kanpur, Metro Rail News: Prime Minister Narendra Modi flagged off the commercial run on Lucknow metro’s 23-km North-South corridor. PM Modi inaugurates the commercial run through video conferencing from Kanpur where he unveiling other development projects for the state. Uttar Pradesh governor Ram Naik, chief minister Yogi Adityanath, deputy chief minister Keshav Prasad Maurya, Chandauli MP and state BJP chief Mahendra Nath Pandey, Kanpur MP Murli Manohar Joshi, along with other state ministers were present on the occasion. Charbagh To Munshipulia : 12.6 Km (opened on 8 Mar 2019) Total 22.87 Km of ‘Red Line’ is fully operational. PM Modi also distributed keys of houses to the beneficiaries of PM Awas Yojana.